Lake Geneva pleasure boats frequently call at beautiful, medieval Yvoire in France – one of the top day-trip destinations from Geneva. Passenger ferries operate year round to Nyon with many more sailings available in summer. Yvoire, a small medieval-look town famous for its flowers, is one of the most popular cruise destinations on Lake Geneva. 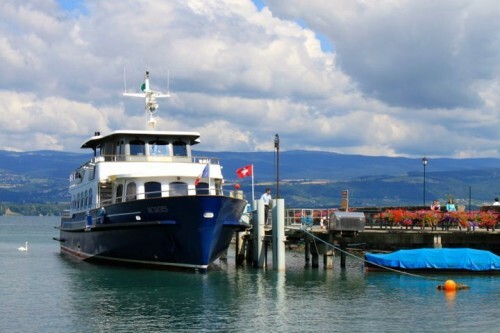 The passenger ferry between French Yvoire and Swiss Nyon operates year round and has up to 35 crossings per day in summer. Other Lake Geneva pleasure boats, including Belle Époque paddle steamers, also frequently call at Yvoire while sailing between Genève and Lausanne. 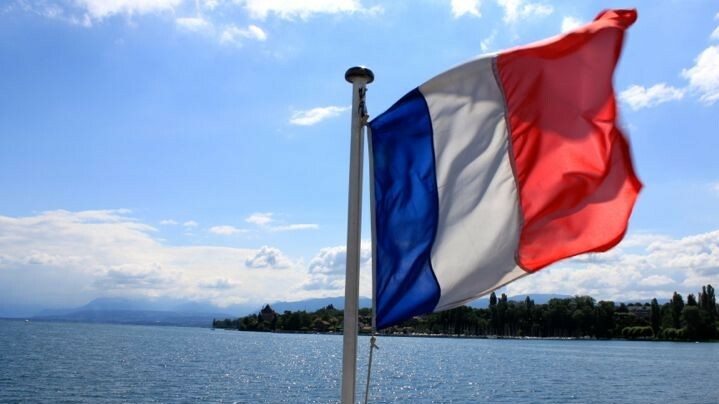 The easiest way to reach Yvoire by boat is on the regular passenger ferry service that connects Yvoire in France with Nyon in Switzerland. Nyon has excellent railway connections to all towns on the Swiss side of Lake Geneva, including four trains per hour to Geneva Cornavin (15 minutes) and Lausanne (30 minutes). The same cannot be said for public transportation from Yvoire – don’t miss the last boat. 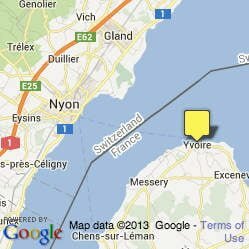 During summer (late June to early September), up to 35 boat crossings per day is possible between Nyon and Yvoire. The majority of these services are on the Navi Mobilité N3 passenger ferry service. The crossing takes only around 20 minutes. During summer, a CGN boat is available more or less every half hour, but with gaps in the schedule. The first boats leave Nyon at 10 am (Yvoire at 10:30 am) and the last ferry of the day departs Nyon at 22:30 (Yvoire at 22:00) but may be much earlier on weekends. In winter, 12 lake crossing are possible per day but only on weekdays with no sailings on weekends. See also: Passenger Ferry Boats on Lake Geneva for more details on ferryboat services between Switzerland and France. During winter, these are often the only cruises available on Lac Léman. Book Tours to Yvoire at GetYourGuide. In addition to the passenger ferry services, other pleasure excursion boats frequently call at Yvoire. Yvoire is a popular destination for day-trips excursions from Geneva and Lausanne, or as stopover port on longer cruises. See also Yvoire – a Medieval Floral Town for what to see and do in what may well be the most picturesque town on the shores of Lake Geneva. During summer, four daily direct services are possible from Geneva to Yvoire – the sailing time is around two hours. Similarly, four direct services per day are available from Lausanne to Yvoire – sailing times depend on the routing and can be as short as an hour but more likely around two hours. The routings can be quite different – boats usually call at Nyon en route to or from Yvoire but the next destination from Yvoire can be Rolle, Thonon, Evian, or occasionally directly to Lausanne. The pleasure boats on Lake Geneva are are mostly historic Belle Epoque paddle steamboats although sometimes more modern vessels are also used. The cruise times for historic boats from the early-twentieth century are the same as for the modern vessels. 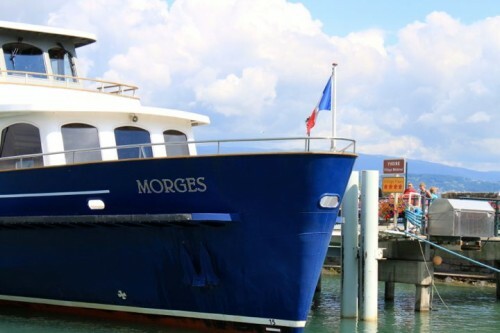 During high summer (mid-July to mid-August) a boat connects Yvoire each afternoon with Thonon and back with stops en route in French lake villages including Excenevex, Sciez and Margencel-Anthysur-Léman. The cruise duration is around an hour in each direction. The bus service back to Yvoire is rather limited, especially during school holidays with no buses running on weekends.